Avoid Negligent Security Lawsuits & Violent Crime. Secure Your Business. Until recently a largely untapped market, negligent security claims are a way property owners and businesses are increasingly held accountable by customers or other visitors for their role in failing to prevent violent crimes. Preventing violent crime is a tough ask, but the law often recognizes your responsibility to contribute to the safety of your visitors, and you should too. To understand what you might need to do to bring your company up to speed and defend against negligent security claims, first you should understand what negligent security is. Then, you can consult a professional to decide how to protect your business, and yourself. Negligent security is a subset of the legal area known as “premises liability,” where a business owner or operator faces responsibility for violent crimes occurring on their property. You may know these better as slip-and-falls, dog bites, or other crimes affecting someone’s health that another individual or company may be liable for. One recent claim ended in a $12 million verdict against a motel for their negligence. Negligent security is just another form of premises liability, where your inaction can make you legally responsible for the bad things that occur on your property. Negligent security claims generally try to uncover some very basic facts, even if the laws behind them are complex. How is Negligent Security Determined? Negligent security claims usually rest on several important questions that build on one another. Similar to other premises liability claims, the overriding question is: Should your business have foreseen a violent crime occurring? To determine this, the plaintiff’s attorney will typically use evidence of previous, similar crimes at your property, nearby businesses, or other businesses that fall under a similar commercial function to yours. For instance, a night club with a history of violent crime on its premises probably should foresee more violent crimes occurring if the venue does nothing to prevent them in the future. This is just one example, and every situation is different. Another commonly asked question is: What should we expect your business to have done to prevent the violent crime? This might be installing technology, hiring more staff, or contracting with a security company. If you can prove your establishment changed its security measures, you may see your liability reduced. These critically important questions aren’t the end of the story. Not every business will face negligent security claims, but some are more susceptible than others. What Businesses Are Most at Risk of Negligent Security Claims? Hospitals, assisted living facilities, or medical clinics. These are just a few businesses that may use minimal screening when allowing people to visit their premises. Unfortunately, a judge and jury may not see the ease of access you provide in a positive light. But rest assured. 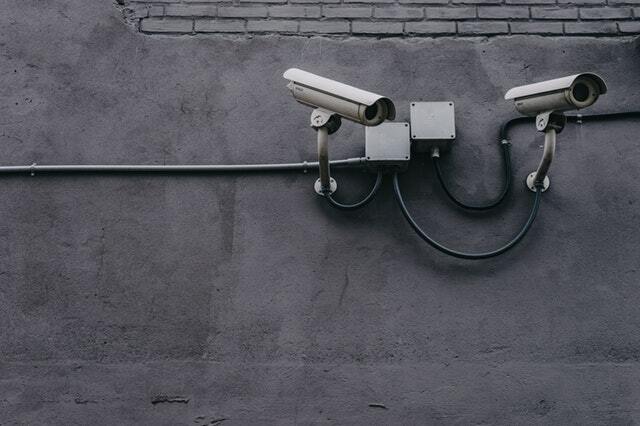 You can cut down on negligent security claims by investing in your commercial security. How Can I Prevent Negligent Security Claims? It’s impossible to completely avoid negligent security claims. But you can take steps to ensure your business fulfilled its legal responsibility to patrons by providing “adequate security” to your visitors. Adequate security can mean hiring security guards or bouncers, establishing occupancy quotas, or other methods of controlling your premises. The relatively low cost of modern security equipment compared to the headache of a lawsuit or hiring more staff also makes common security solutions like video surveillance and management or access control installation an option. We offer a wide variety of security cameras to fit your needs, ranging from low-profile fixed-domes to top-of-the-line, multi-sensor 360° cameras. We can also provide you with mobile security alerts, giving you peace of mind and control over your property 24 hours a day, anywhere in the world. Our video surveillance and management can be configured and customized in-house, putting you in the drivers’ seat of your system. Negligent security stops where your very real security measures begin. BCI Integrated Solutions specializes in a variety of security solutions, and can integrate or bundle them to work with any other systems you have or might also want to install, including audio video displays, communications networks, and much more. Our company provides premier solutions to businesses in Orlando, Tampa, Fort Myers, and throughout Florida. But we’ll bring our solutions anywhere in the world you need them to help put your business on top. Contact us today for a free evaluation of your property’s security needs. The materials available in this article are for informational purposes only and are not intended to provide legal advice.